Egypt has long been a major problem country of great ape trafficking (see Africa’s Lost Apes). Chimpanzees, gorillas and orangutans have over the years mysteriously turned up at the National Circus, various public zoos, private safari parks and tourist hotel wildlife facilities. Not a single import has been reported to the CITES Trade Database, indicating that all of the imports have been illegal. The CITES Secretariat has felt compelled to make two visits to Egypt (2007 and 2010) to look into charges of improper imports of great apes. They found many irregularities and recommended that several remedial measures be carried out. The PEGAS Project Manager visited Egypt on November 13-26 to ascertain the current status of the number and location of great apes in the country and to assess the possibility of rescuing and relocating any of them to their home countries or to a suitable sanctuary closer to home. 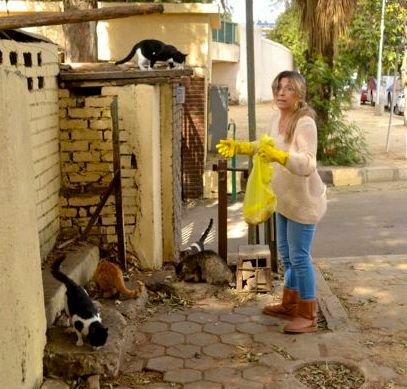 PEGAS was greatly assisted by Dina Zulficar, one of Egypt’s leading animal rights activists, who has a history of driving change and advancing animal welfare and protection that spans decades. PEGAS and Dina Zulficar met with senior officials of the Egyptian Environment Affairs Agency, Dr. Khaled Allam, General Manager of Biodiversity, and Dr. Ayman Hamada, Director-General of Species Diversity, in the Ministry of State for Environment. After discussion, we agreed that a short-term holding facility would be created on Ministry of Environment property near the Cairo airport for great apes confiscated in future trafficking incidents. PEGAS would assist in providing both the design plans and funding for this facility. CITES-Egypt would need to agree to its operation and Environment said that they would attempt to establish a Memorandum of Understanding with CITES-Egypt, which would include a step-by-step protocol of procedures to follow in the case of an illegal trade great ape seizure. PEGAS tried for over two weeks to obtain a meeting with CITES-Egypt officials, but they refused to grant an appointment. The Egypt CITES Management Authority has a long history of lack of cooperation and transparency with international organizations and NGOs interested in controlling illegal wildlife trade and promoting conservation. Reports by Karl Ammann/Pax Animalis and PASA have pointed to the Tower Hotel and its associated animal breeding centre, owned by businessman Gamal Omar, as a hotspot of illegal great ape trading. The Hotel used to display chimpanzees, but this has ceased, and the apes are kept out of public view now in the breeding centre located near the hotel. 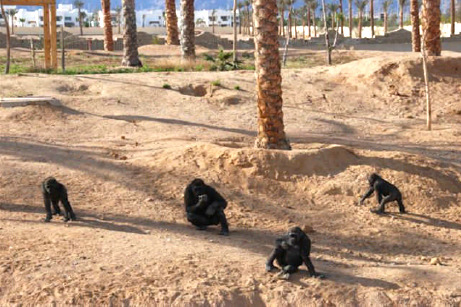 Gorillas and chimpanzees have been circulating through these Sharm el-Sheikh facilities since the 1990s, fed initially by an infamous dual nationality Egyptian-Nigerian trafficker named Heba Saad. The first actual count, reported by PASA in 2009, stated that there were four gorillas and six chimpanzees at Tower, but this number was provided by CITES-Egypt and could not be verified by visual inspection. Ammann/Pax Animalis reported a visual inspection count made by Claudia Schoene in January 2012 of five gorillas and 11 chimpanzees, with a minimum of two females and three too young to breed. PEGAS visited the breeding centre and witnessed a transaction in which addax were sold and packed into a transport crate, but the great apes were intentionally kept from view (despite an earlier promise that they could be visited). PEGAS did however receive numbers from three sources, including the veterinarian at Tower, that in November 2014 there were five gorillas and 25 chimpanzees (8 newborns and other youngsters). Their 2014 permit to hold animals indicates that in early 2014 there were 17 chimpanzees in residence. The November 2014 numbers indicate that chimpanzees have been added that have not been bred at Tower. The 2014 CITES Trade Database won’t be published for several months, but it is unlikely any legally imported chimpanzees will be reported for Egypt, so it appears that in spite of severe criticisms by CITES and others, great ape trafficking is continuing. 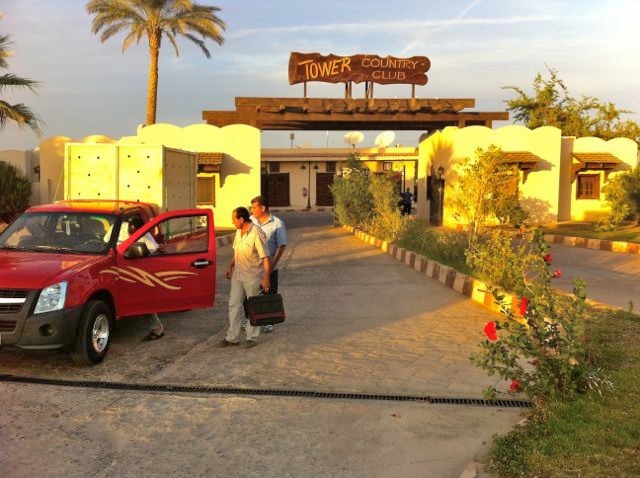 The Hauza Hotel, also in Sharm el-Sheikh, operated very much like the Tower Hotel in that chimpanzees were kept on public display and the owner, Ashraf Enab, retains an animal breeding farm, which is located off the road connecting Cairo with Alexandria. The first count was again reported in the 2009 PASA report as provided by CITES-Egypt, which stated that chimpanzees were no longer kept at the hotel and that five were at the breeding farm, but this could not be verified. In earlier years, Karl Ammann and associates had seen and digitally recorded several chimpanzees, which appeared to be changing inconsistently in age over time, suggesting that some were leaving and others arriving. PEGAS visited the hotel and spent a great deal of time with the owner, who shared a considerable amount of information, which will be conveyed in a subsequent report. 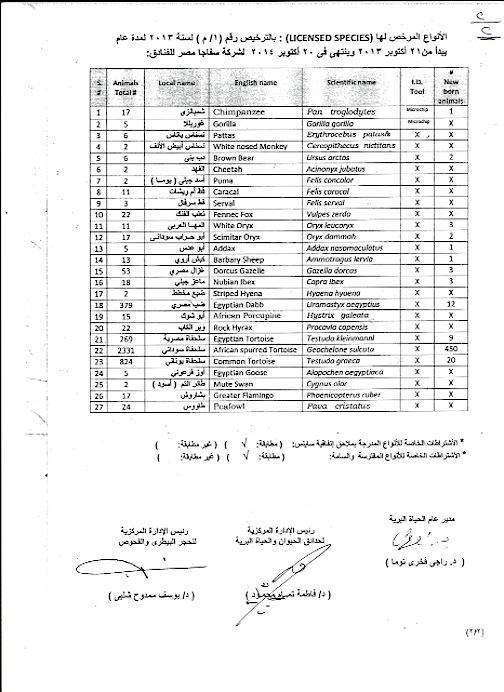 Concerning numbers, Mr. Enab reported that he started in 2006 with CITES-Egypt asking him to keep first two and then another four seized chimpanzees at the hotel zoo. He later moved them to the breeding farm (2009?). Two offspring have been born, so there are now eight at the breeding farm, with none at the hotel. 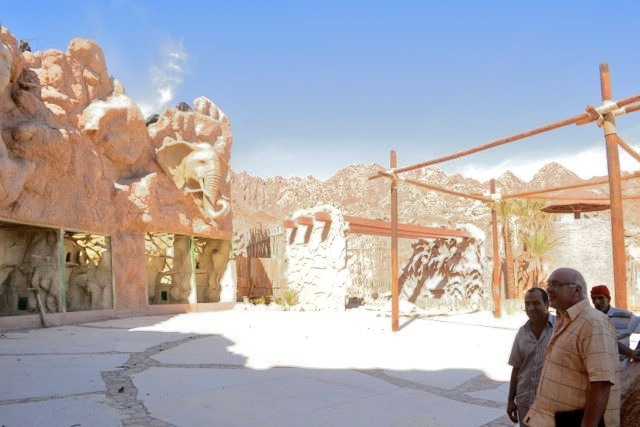 Ashraf Enab is building a new safari park in Sharm el-Sheikh that eventually will host 800 animals, including four chimpanzees, lions, cheetahs, giraffes and many more transferred from the breeding farm. This drive-through facility is located off the Cairo-Alexandria road about 165 km from Cairo and currently costs 400 Egyptian pounds (US$57) to enter. Chimpanzees have also been coming and going from it over the years, but the only count was provided by PASA in 2009, which viewed a total of seven. PEGAS visited the safari park in November and saw two adult chimpanzees on a rock island, which appear to have been there for many years based on earlier accounts, and a single adult on another island. The two chimpanzees, unfortunately, seem to have an “Odd Couple” sort of relationship and fastidiously avoid each other. Apparently five or six others were on the second island in 2008/2009, but progressively they fell (or were pushed) off the island and drowned (sources: personal communication, Dina Zulficar and an anonymous informant who worked there). 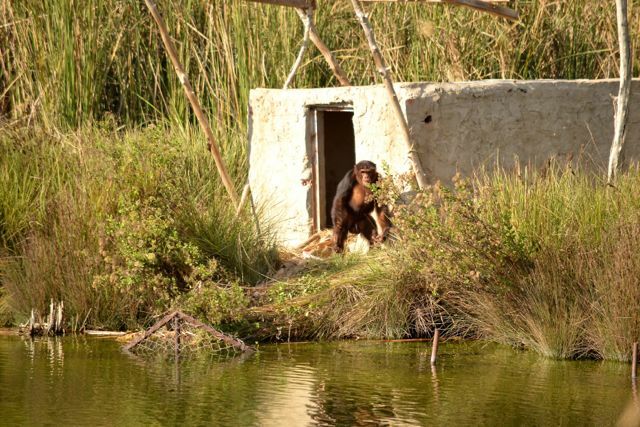 The chimpanzees are kept on these tiny islands year-round with temperatures ranging from 9 C (57 F) to 45 C (113 F), with no enrichment provisions, which clearly qualifies as mistreatment. Great apes have been moving in and out of Giza Zoo on a regular basis over the years and it appears that it serves as a holding station for CITES-Egypt, which is headquartered at the zoo, to enable it to temporarily keep illegally traded apes, and then distribute them to “rescue centres” such as the Tower, Hauza and African Safari Park operations. The same scheme is used to import and distribute other species. 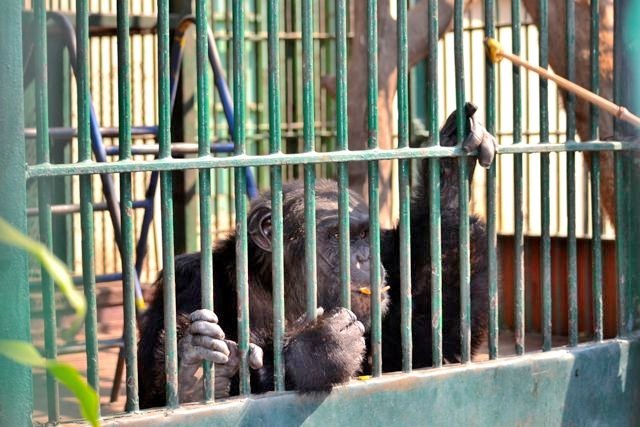 For example, PASA saw three infant chimpanzees in the Giza Zoo in March 2009 that supposedly were “confiscated”, but there were no documents associated with it, nor were the confiscations reported to the CITES Trade Database, as required by CITES Parties. 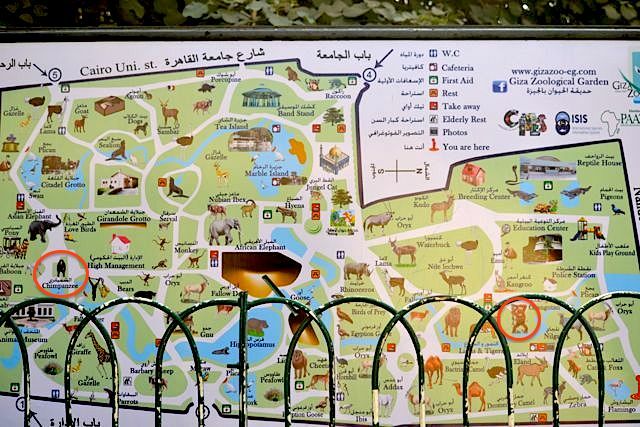 A month later, Ian Redmond of Ape Alliance visited the Giza Zoo and found only two infants. One infant had already been removed. Also, when an ape is no longer of use to a private facility because of age or poor health, it is sent to the Giza Zoo. An example of this is the case of Moza, a female transferred from Tower to the zoo because she has a recurrent tumor. 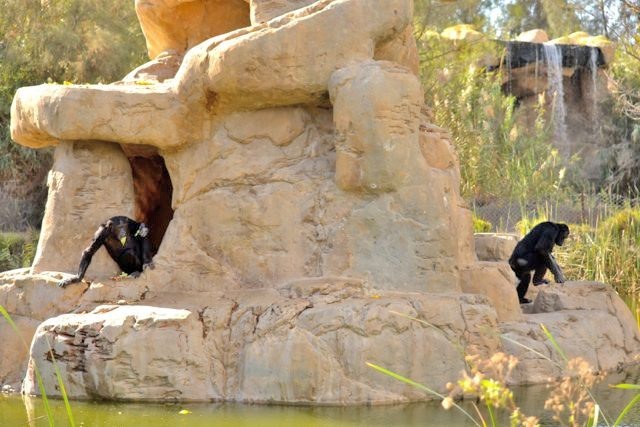 PASA observed eight chimpanzees at the Giza Zoo in March 2009, while Ian Redmond counted seven in total a month later. PEGAS saw five chimpanzees in two cages and two orangutans in another location. Dina Zulficar indicated that there are seven chimpanzees in total at the zoo, which if so means that two were hidden from view inside the sleeping chamber. There was an empty cage in the chimpanzee cage cluster no doubt awaiting the next illegal import. In the past other facilities, such as the Alexandria Zoo, the Al-Arish Zoo, the National Circus, about 20 other smaller circuses, and pet shops in Cairo are all reported to have held or sold great apes, but none do today, according to Dina Zulficar, Ashraf Enab and an anonymous informant. First, it is imperative that the Ministry of State for the Environment be successful in establishing a holding facility to receive all future great ape confiscations. The system that currently exists involving placement of illegal ape imports in the Giza Zoo, from where they are passed on to private “rescue centres”, must be broken up. More will be said on this topic in a subsequent report. Second, an initiative is underway by PEGAS, working with a private wildlife breeder and dealer, and government officials, to free and relocate to sub-Saharan Africa the chimpanzees held by the Tower Hotel breeding centre. More will be said on this as negotiations proceed. This entry was posted in CITES, Egypt-UAE mission, Pax Animalis, PEGAS and tagged CITES, Egypt-UAE mission, Pax Animalis, PEGAS. Bookmark the permalink.